At Forest Hill Nature Preschool, we believe that children learn best when they have the opportunity to explore, discover, and create. Connecting with nature is a way to expand children's minds. We do this by exploring outside--by comparing bugs, playing in streams and learning about the abundance of wildlife available in our backyards. Many kids growing up in this technological world tend to miss out on the educational opportunities available through nature. It is our goal to help children discover and develop an appreciation for the outside world. Wild in the Woods gives children the freedom to learn and play in a safe outdoor setting. On our property, the children have the chance to explore open fields, 6 acres of hiking and an opportunity to scout our capacious pond. 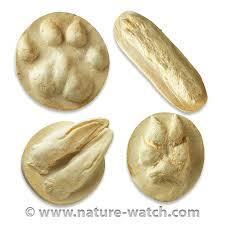 The children and I will be inside for the next couple weeks while we explore various types of animal tracks. Using salt dough we will choose our favorite animal footprint and mold the shape of the track. The children will be able to wear them as necklaces and will be water resistant to enable making their own tracks in the snow/mud. The children and I have been exploring our field. Winter is a great time to hike due to the bare trees. Bird watching and nest hunting are just a few of the experiences available during the season. We have also spent much of our time following the animal tracks through the snow and the frozen mud. The children have taken much interest in tracking. I will make sure to incorporate this into our next project. 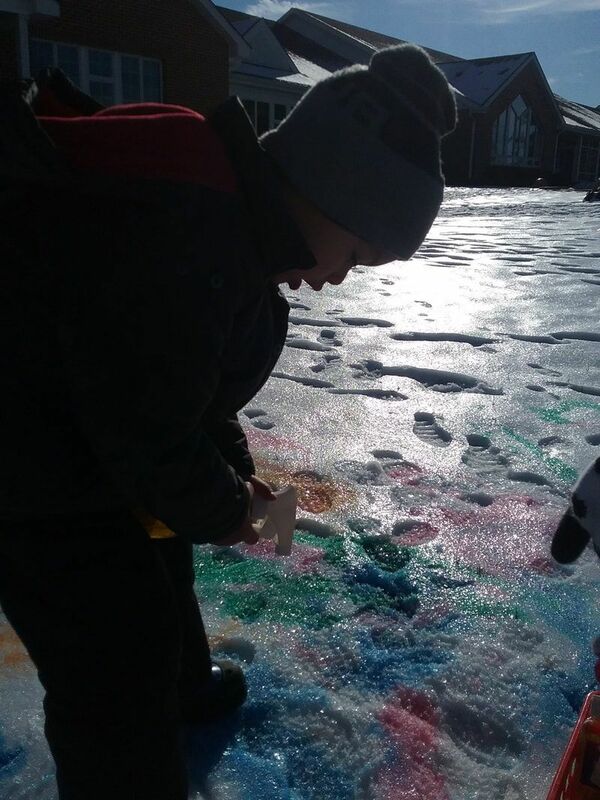 The children will be using the snowy weather as a canvas for their art. They will be using various types of bottles to paint the snow. Photos will be taken and added to their nature journals. In this two-step project, the children chose their favorite rock and painted beautiful garden stones that will protect their garden or plants at home with love. They then had the opportunity to wrap their gift and practice writing words like mom, dad, grammy, and pop-pop! The children a I took a nature hike around the school grounds to collect our favorite fall items. This familiarized the children with leaf identification. After this exciting outdoor adventure, students ventured to the Art Studio where they used their unique artistic talents to design beautiful natural Sun Catchers that were displayed in our lobby! This project is weather pending and will be completed throughout the year. Luckily, our first week of school was a wet one and we have been able to delve right in! During this project we will be able to explore reflections and have the opportunity to develop our balance and gross motor skills. The three and four year olds joined me for a hike through the field for a book picnic. We read Beautiful Black Bird and identified tribal art based off the art blackbird provides to his bird friends. We learned that blackbird is a crow and makes bird calls, as well as morning dove calls. Our adventurous students will be joining me for animal exploration while reading Quick as a Cricket. We will be acting like the animals we encounter in our story!